Raymond Henry Williams (August 31, 1921 – January 26, 1988) was a Welsh academic, novelist and critic. He was an influential figure within the New Left and in wider culture. His writings on politics, culture, the mass media and literature are a significant contribution to the Marxist critique of culture and the arts. Some 750,000 copies of his books have sold in UK editions alone (Politics and Letters, 1979) and there are many translations available. His work laid the foundations for the field of cultural studies and the cultural materialist approach. Cultural materialism in literary theory and cultural studies emerged as a theoretical movement in the early 1980s along with new historicism, an American approach to early modern literature, with which it shares much common ground. The term was coined by Williams, who used it to describe a theoretical blending of leftist culturalism and Marxist analysis. Cultural materialists analyze specific historical documents and attempt to recreate the zeitgeist of a particular moment in history. Williams viewed culture as a "productive process," that is, part of the means of production, and cultural materialism often identifies what he called "residual," "emergent" and "oppositional" cultural elements. Following in the tradition of Herbert Marcuse, Antonio Gramsci and others, cultural materialists extend the class-based analysis of traditional Marxism by means of an additional focus on the marginalized. Born in Llanfihangel Crucorney, near Abergavenny, Wales, Williams was the son of a railway worker in a village where all of the railway men voted Labour while the local small farmers mostly voted Liberal. It was not a Welsh-speaking area–he described it as 'Anglicised in the 1840s' (Politics and Letters, 1979). There was, however, a strong Welsh identity. "There is the joke that someone says his family came over with the Normans and we reply: 'Are you liking it here?'." He attended King Henry VIII Grammar School in Abergavenny. His teenage years were overshadowed by the rise of Nazism and the threat of war. He was 14 when the Spanish Civil War broke out, and was very conscious of what was happening through his membership in the local Left Book Club. He also mentions the Italian invasion of Abyssinia (Ethiopia) and Edgar Snow's Red Star Over China, originally published in Britain by the Left Book Club (Politics and Letters). At this time, he was a supporter of the League of Nations, attending a League-organized youth conference in Geneva. On the way back, his group visited Paris and he went to the Soviet pavilion at the International Exhibition. There he bought a copy of The Communist Manifesto and read Marx's writings for the first time. He went to Trinity College, Cambridge, but his education was interrupted by war service. He joined the British Communist Party while at Cambridge. Along with Eric Hobsbawm, he was given the task of writing a Communist Party pamphlet about the Russo-Finnish War. In (Politics and Letters) Williams recounts that they "were given the job as people who could write quickly, from historical materials supplied for us. You were often in there writing about topics you did not know very much about, as a professional with words." At the time, the British government was keen to support Finland in its war against the Soviet Union, while still at war with Nazi Germany. In the winter of 1940, he decided that he should join the British Army. This was against the Party line at the time, though in fact he stayed at Cambridge to take his exams in June 1941, the same month that Germany invaded Russia. As he describes it, his membership lapsed, without him ever formally resigning. At the time he joined the army, it was normal for undergraduates to be directed into the signal corps. He received some initial training, but was then switched to artillery and anti-tank weapons. He was seen as 'officer material' and served as an officer in the Anti-Tank Regiment of the Guards Armoured Division, 1941-1945. He was sent into the early fighting in Normandy after D Day. In Politics and Letters, he said "I don't think the intricate chaos of that Normandy fighting has ever been recorded." He commanded a unit of four tanks and mentions losing touch with two of them during fighting against SS Panzer forces; he never discovered what happened to them, because there was then a withdrawal. He was part of the fighting from Normandy in 1944 through Belgium and Holland to Germany in 1945, where he was involved with the liberation of one of the smaller concentration camps, which was afterwards used to detain SS officers. He was also shocked to find that Hamburg had suffered saturation bombing by the RAF, not just of military targets and docks as they had been told. He received his M.A. from Trinity in 1946 and then served as a tutor in adult education at the University of Oxford for several years. In 1951 he was recalled to the Army as reservist to fight in the Korean War. He refused to go, and registered as a conscientious objector. He made his reputation with Culture and Society, published in 1958 and an immediate success. This was followed in 1961 by The Long Revolution. Williams's writings were taken up by the New Left and received a very wide readership. He was also well-known as a regular book reviewer for the Manchester Guardian newspaper. His years in adult education were an important experience and Williams was always something of an outsider at Cambridge University. Asked to contribute to a book called My Cambridge, he began his essay by saying that "It was never my Cambridge. That was clear from the start." On the strength of his books, Williams was invited to return to Cambridge in 1961, eventually becoming Professor of Drama there (1974-1983). He was Visiting Professor of Political Science at Stanford University in 1973, an experience that he used to good effect in his still useful book Television: Technology and Cultural Form (1974). A committed socialist, he was greatly interested in the relationships between language, literature, and society and published many books, essays and articles on these and other issues. Among the most important is The Country and the City (1973), in which chapters about literature alternate with chapters of social history. His tightly written Marxism and Literature (1977) is mainly for specialists, but it also sets out his own approach to cultural studies, which he called cultural materialism. This book was in part a response to "structuralism" in literary studies and put pressure on Williams to make a more theoretical statement of his own against criticisms that it was humanist Marxism, based on unexamined assumptions about lived experience. He made considerable use of the ideas of Antonio Gramsci, though the book is uniquely Williams and written in his own characteristic voice. For a more accessible version, see his book Culture (1981/1982), which also further develops some key arguments, especially about aesthetics. Williams's position about other writers on culture and society may surprise some readers. For example, in his short book about George Orwell, he is sharply critical of a figure with whom many people assume he has much in common. Williams also wrote in a critical way about Marshall McLuhan's writings on technology and society. This is the background to the chapter in Television: Technology and Cultural Form (1974) called "The Technology and the Society." His book on Modern Tragedy may be read as a response The Death of Tragedy, by the conservative literary critic George Steiner. Later, Williams was interested in the work of Pierre Bourdieu, though opining that the latter was too pessimistic in terms of the possibilities for social change. He retired from Cambridge in 1983 and spent his last years in Saffron Walden. While there, he wrote Loyalties, a novel about a fictional group of upper-class radicals attracted to 1930s Communism. He was also working on People of the Black Mountains, an experimental historical novel about people who lived or might have lived around the Black Mountains, the part of Wales from which he hailed. It is told through a series of flashbacks featuring an ordinary man in modern times, who is looking for his grandfather who has not returned from a hill-walk. He imagines the region as it was and might have been. The story begins in the Old Stone Age and was intended to come right up to modern times, always focusing on ordinary people. Raymond Williams had completed it to medieval times when he died in 1988. It was prepared for publication by his wife Joy Williams. It was published in two volumes, along with a Postscript that gives a brief description of what the remaining work would have been. Almost all of the stories were completed in typescript, generally revised many times by the author. Only The Comet was left incomplete and needed some small additions to make a continuous narrative. Williams was one of the founders of the movement known as Cultural materialism. Cultural materialism is one of a cluster of approaches to literary and cultural studies that compromise contemporary literary theory. Cultural materialism seeks to draw attention to the processes employed by power structures, such as the church, the state or the academy, to disseminate ideology. It explores the historical context and political implications of the text, and through close textual analysis note the dominant hegemonic position and the possibilities for the rejection and/or subversion of that position. British critic Graham Holderness defines cultural materialism as a "politicized form of historiography." Cultural materialists have found the area of Renaissance studies particularly receptive to this type of analysis, and have distinct parallels with the New Historicism in this regard. In the 1980s, Williams made important links with debates in feminist, peace and ecology movements and extended his position beyond what might be recognized as Marxism. He concluded that because there were many different societies in the world there would be not one, but many socialisms. His approach helped to shape the field of literary studies in late twentieth century Britain in particular. Border Country, London, Chatto and Windus, 1960. reissued Hogarth Press, 1987. Second Generation, London, Chatto and Windus, 1964. reissued Hogarth Press, 1987. The Fight for Manod, London, Chatto and Windus, 1979. reissued Hogarth Press, 1987. Reading and Criticism, Man and Society Series, London, Frederick Muller, 1950. Drama from Ibsen to Eliot, London, Chatto and Windus, 1952. Revised edition, London, Chatto and Windus, 1968. Raymond Williams and Michael Orrom, Preface to Film, London, Film Drama, 1954. Culture and Society, London, Chatto and Windus, 1958. New edition with a new introduction, New York, Columbia University Press, 1963. Translated into Italian, Japanese, Korean, Portuguese and German. The Long Revolution, London, Chatto and Windus, 1961. Reissued with additional footnotes, Harmondsworth, Penguin, 1965. Communications, Britain in the Sixties Series, Harmondsworth, Penguin Special, Baltimore, Penguin, 1962: revised edition, Harmondsworth, Penguin, 1966. Third edition, Harmondsworth, Penguin, 1976. Translated into Danish and Spanish. Modern Tragedy, London, Chatto and Windus, 1966. New edition, without play Koba and with new Afterword, London, Verso, 1979. S. Hall, R. Williams and E. P. Thompson (eds.) New Left May Day Manifesto. London, May Day Manifesto Committee, 1967. R. Williams (ed.) May Day Manifesto, Harmondsworth, Penguin, 1968, 2nd edition. Drama from Ibsen to Brecht, London, Chatto and Windus, 1968. Reprinted, London, Hogarth Press, 1987. Orwell, Fontana Modern Masters Series, Glasgow, Collins, 1971. 2nd edition. Glasgow, Collins, Flamingo Paperback Editions, Glasgow, Collins, 1984. The Country and the City, London, Chatto and Windus, 1973. Reprinted, London, Hogarth Press, 1985. Translated into Spanish. J. Williams and R. Williams (eds.) D H Lawrence on Education, Harmondsworth, Penguin Education, 1973. R. Williams (ed.) George Orwell: A Collection of Critical Essays, Twentieth Century Views, Englewood Cliffs, N.J., Prentice-Hall, 1974. Television: Technology and Cultural form, Technosphere Series, London, Collins, 1974. (ISBN 978-0415314565) Translated into Chinese (Taiwan's complex characters), Italian, Korean and Swedish. Keywords, Fontana Communications Series, London, Collins, 1976. New edition, New York, Oxford University Press, 1984. M. Axton and R. Williams (eds.) English Drama: Forms and Developments, Essays in honor of Muriel Clara Bradbrook, with an introduction by R. Williams, Cambridge and New York, Cambridge University Press, 1977. Marxism and Literature, Marxist Introductions Series, London and New York, Oxford University Press, 1977. Translated into Spanish, Italian and Korean. Politics and Letters: Interviews with New Left Review, London, New Left Books, 1979, Verso paperback edition, 1981. Problems in Materialism and Culture: Selected Essays, London, Verso, 1980. New York, Schocken, 1981. Reissued as Culture and Materialism, Verso Radical Thinkers Series, 2005. R. and E. Williams (eds.) Contact: Human Communication and its History, London and New York, Thames and Hudson, 1981. Cobbett, Past Masters series, Oxford and New York, Oxford University Press, 1983. Towards 2000, London, Chatto and Windus, 1983. US edition, The Sociology of Culture, with a Preface to the American edition, New York, Pantheon, 1984. M. Williams and R. Williams (eds.) John Clare: Selected Poetry and Prose, Methuen English Texts, London and New York, Methuen, 1986. 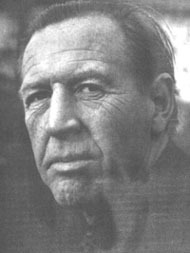 Raymond Williams on Television: Selected Writings, Preface by R. Williams, A. O'Connor, (ed.) London, Routledge, 1989. Resources of Hope, R. Gable (ed.) London and New York, Verso, 1989. What I Came to Say, London, Hutchinson-Radius, 1989. The Politics of Modernism, T. Pinkney (ed.) London and New York, Verso, 1989. The Raymond Williams Reader, J. Higgins (ed.) Oxford, Blackwell, 2001. Sugar, in R. Williams, M. Orrom, and M.J. Craig (eds.) Outlook: a Selection of Cambridge Writings, Cambridge, 1941, pp.7-14. This Time, in New Writing and Daylight, no. 2, 1942-1943, J. Lehmann (ed.) London, Collins, 1943, pp. 158-164. A Fine Room to be Ill In, in English Story 8, W. Wyatt (ed.) London, 1948. A seven-page introduction to All Things Betray Thee, a novel by Gwyn Thomas. Dempsey, Lorcan. A neglected Welsh-English dystopia. The Volunteers: Worldcat.org review. April 8, 2006. Retrieved February 19, 2009.
. Dai Smith discusses Raymond Williams' Border Country; BBC Wales Arts and Entertainment Retrieved February 19, 2009. This page was last modified on 5 August 2013, at 19:25.